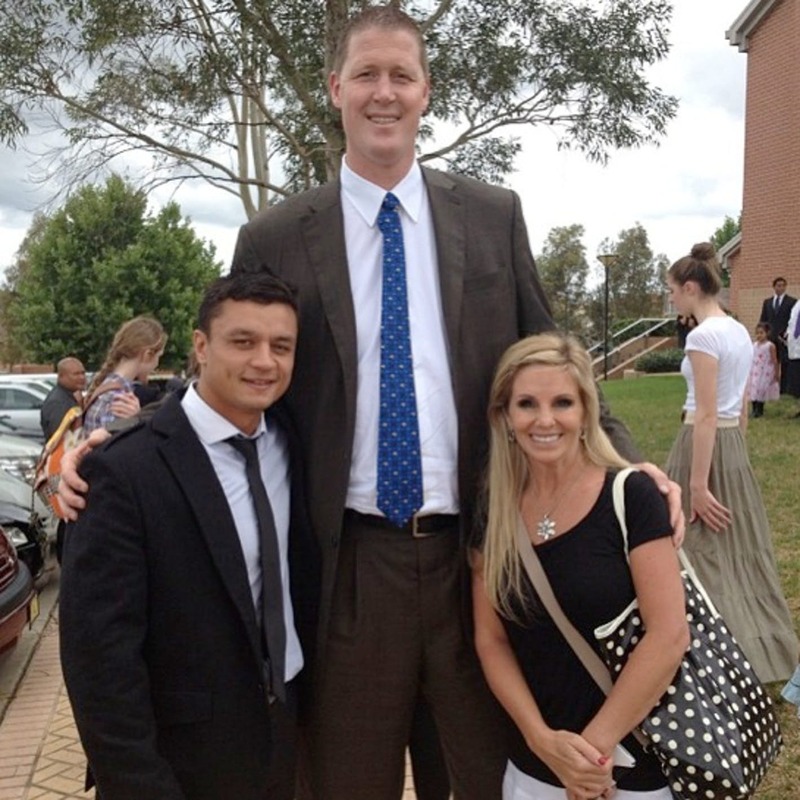 It is said that most women prefer tall men, but these ladies picked some of tallest athletes in the world. These couples probably had a hard time smooching each other and suffered some back pains. The NBA legend Shaq in particular really likes tiny girls even though everyone is probably very small from his perspective. Let’s discover these unusual couples. Rajic used to work at Tootsies, a popular gentleman’s club that is frequented by athletes, and she has a history of scandalous actions. Today Paul George and she have two daughters, Olivia and Natasha. 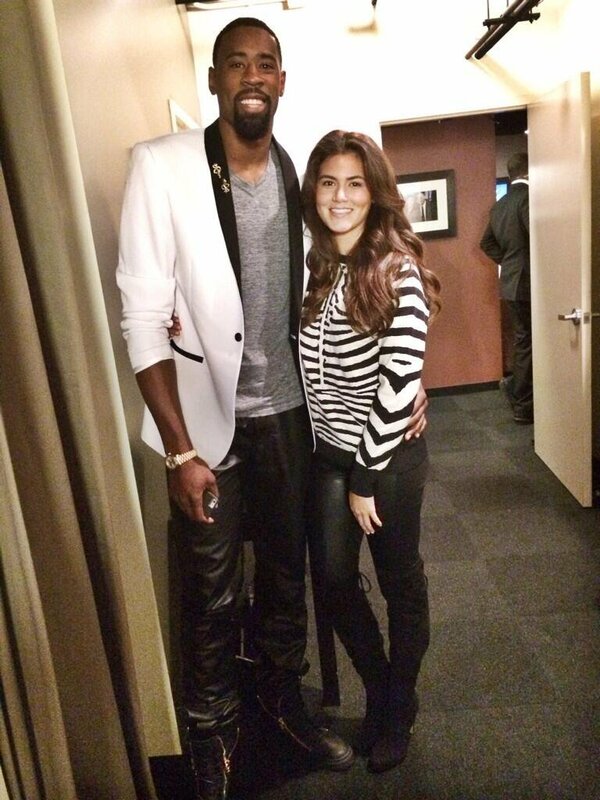 Daniela’s height is unknown, but pictures clearly state how much taller her man is next to her. Don't forget he is 6’9! Alvarez is known for appearing in Chris Brown’s video ‘Sweet Love’, and she started seeing Jordan after moving to Los Angeles in 2011. They have not been seen together for some time, but they look like quite the pair. DeAndre is 6’11 while Amber measures 5’8, which is pretty tall for a woman. Still, the difference is noticeable. Shaq is one of the tallest people in the world; so, naturally, he had to appear on this list because even his teammates looked like hobbits next to him. He measures 7’1 and weights more than 300 pounds, which is even more intimidating. The NBA legend dated Nicole from 2010 to 2013, and she was only 5’2. She appeared once on VH1’s ‘I Love Money’, where she was luckly to get $250,000. 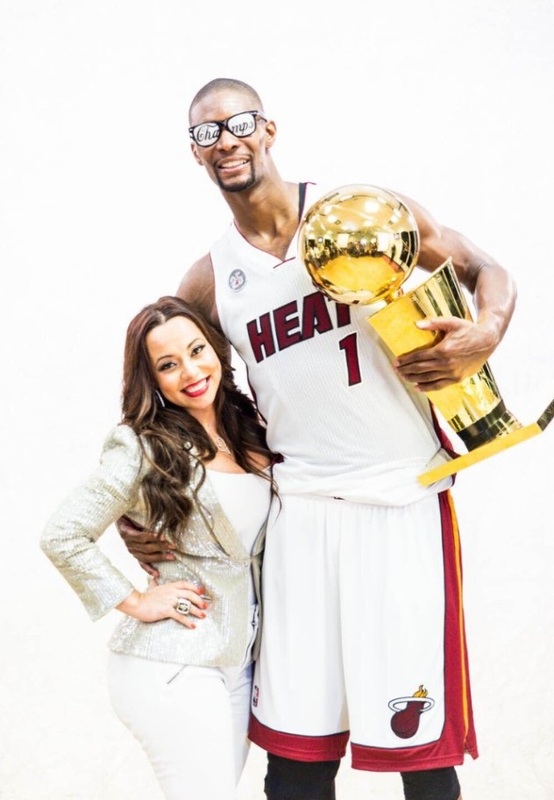 Bosh suffered from a blood clot a while ago, but he has vowed to return to his career. Luckily, his wife, Adrienne Williams, supports him. While she is a very short girl at 5’0, Chris measures 6’11. However, their love has only grown bigger since their wedding in 2011. They have four kids and founded a non-profit called "Team Tomorrow" to support the underprivileged in Miami. Their marriage might have been one of the shortest in history, but they had some happy moments before moving on. Kim measures 5’2, while Kris’ height is 6’9. The reality star might be more comfortable now that she is with Kanye West, who is just 5’8. However, Kris and Kim’s different heights made them look pretty cute. Nowitzki’s NBA career has certainly been fruitful, especially after being named NBA All-Star in 2010. In fact, he met his wife, Jessica, during an All-Star weekend. 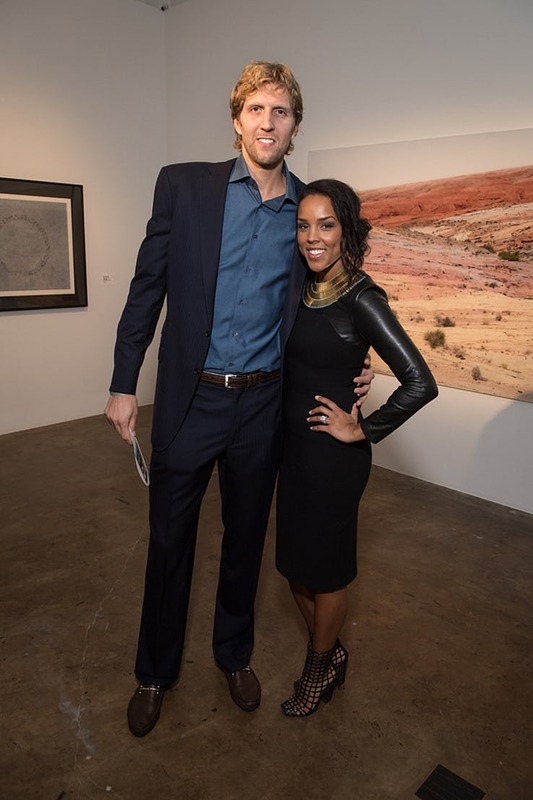 She measures 5’1, which is pretty small compared to Dirk’s 7’0 frame. However, that was not an obstacle for them since they got married in 2013 and have three kids, Malaika, Max, and Morris. Charlie has a height of 6’11 while Michelle is just 5’5". Regardless, they were engaged for a while and she gave a birth to his child. It seems like Michelle has a particular taste for professional athletes since she was also associated with Dak Prescott last year. 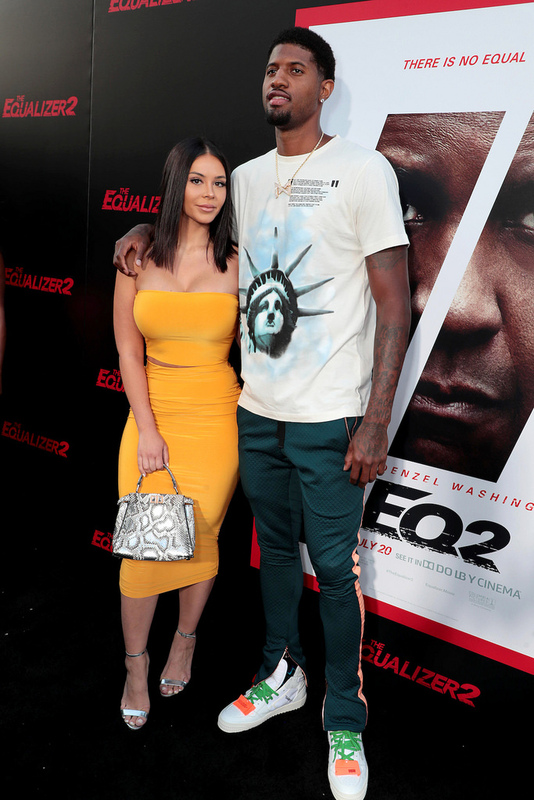 Another Kardashian on the list, but she has dated many NBA players like her ex-husband Lamar Odom, who is taller than Thompson. 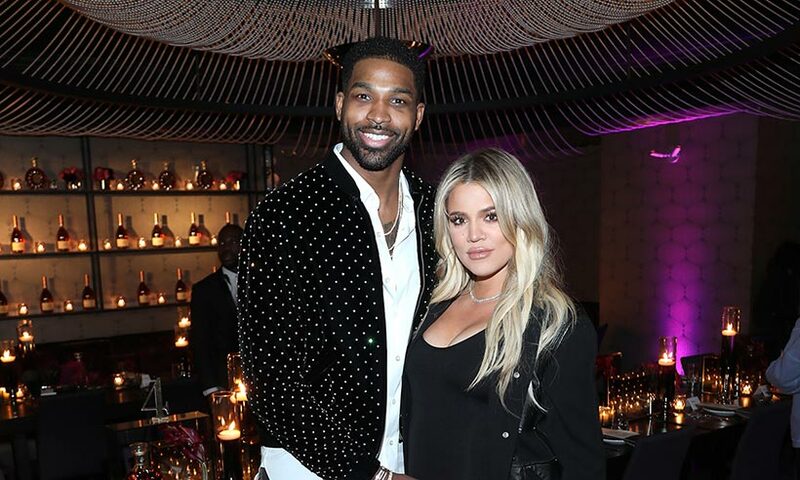 Tristan measures 6’8, and Khloe is 5’10, which is also pretty tall for a woman. Still, Tristan towers over her. They have a child named True together, but their relationship has been ridden with cheating rumors. 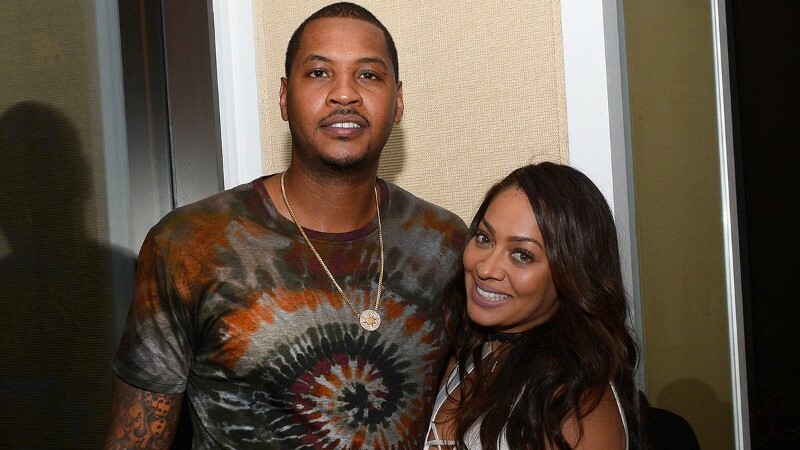 This couple is one of the cutest, and they walked down the aisle in 2010, and while Carmelo is more famous, La La is not far behind with her many reality shows. She appeared in ‘Power’ and ‘La La’s Full Court Life’, which shows her life as a wife of an NBA player. 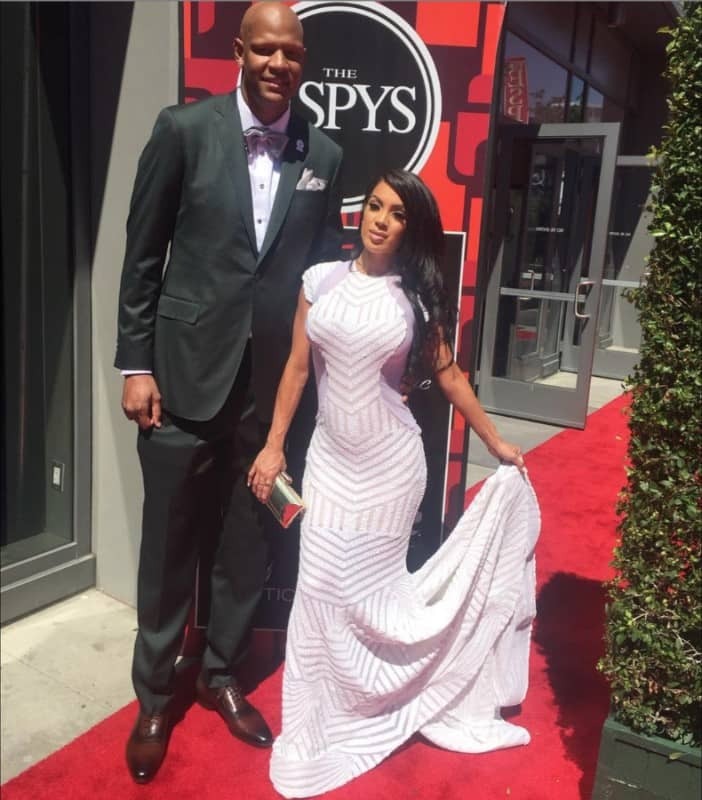 Carmelo has a height of 6’8 while La La is 5’6. Their relationship has had its fair share of ups and downs, and there were even some assault rumors back in 2003. In 2011, they announced their plans to divorce but changed their minds. They have been together for a long time; so Vanessa is probably fine with the height difference as she is 5’5 while Kobe is 6’6. 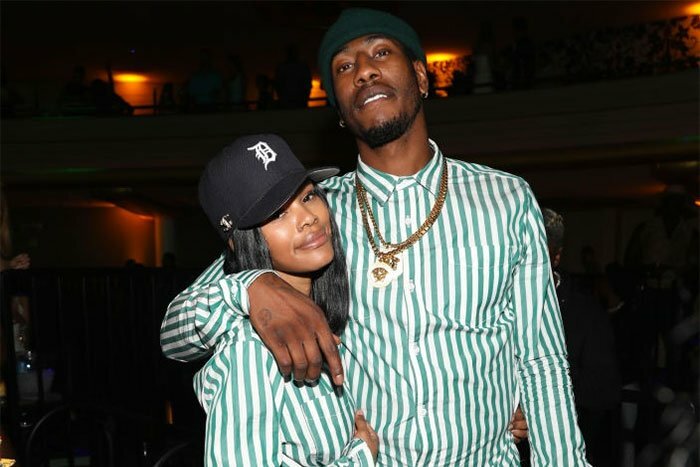 This couple has also suffered some adversities as Teyana’s labor started earlier than expected, and Iman even had to use some headphones to stabilize the umbilical cord at one point. It clearly showed how fast Shumpert has always been with his hands. Iman is 6’5 while Teyana is tiny at 5’4. They still look beautiful together. On their first date, they played laser-tag, and their first kiss was pretty awkward according to McCurdy, who said: “I stood on a chair… I sort of went for it. But it wasn’t great. It didn’t go great. No sparks and the mouth… the shapes weren’t right". The chair was definitely necessary because Drummond is 7’0 and she is just 5’2. His height was one of his major advantages in the NBA as he could block any shot at 7’6. Bradley was in a relationship with Annette for most of his career. 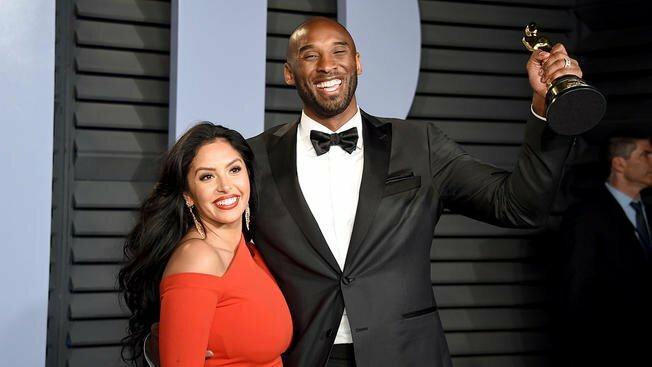 However, they separated in 2017, and the basketball player moved on with another woman and her three kids from a previous marriage. He cannot walk into a room without being noticed. This couple dated for a long time before getting married. 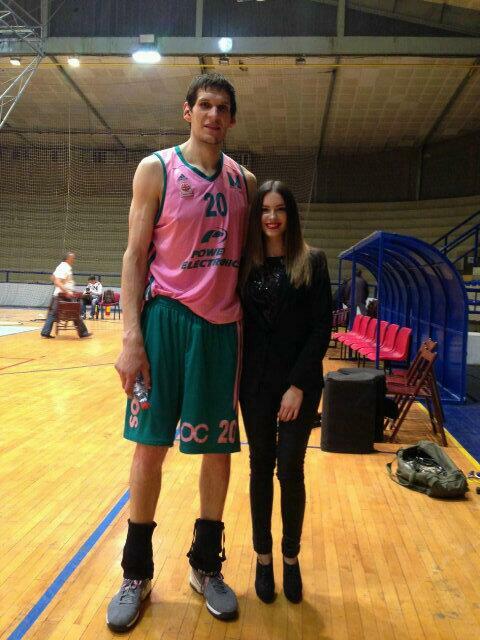 Boban measures 7’3, while Milica is two feet shorter than her husband. She once said in an interview, "I have to admit that I like to read comments about the height difference between Boban and me. Some of the comments are so funny they make me laugh with tears in my eyes!" 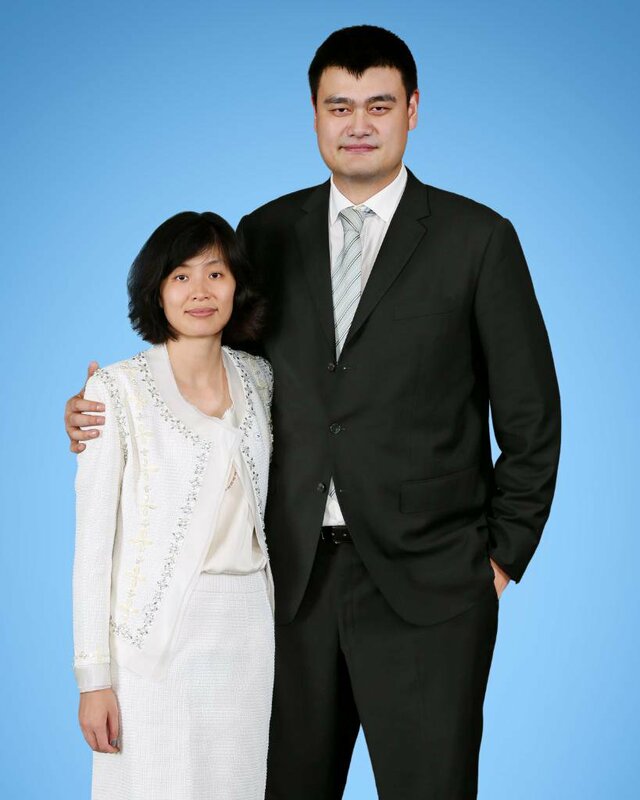 Yao Ming is remembered as one of the tallest NBA players in history, and Ye Li knew that she would always have to look toward the sky when she decided to marry him. He is 7’6, but Ye Li is actually pretty tall at 6’4. They met when Yao was just 17 and has been his only relationship. Shaq had to come up on the list for a second time, and while Nicole Alexander is 5’2, Laticia Rolle is a bit taller at 5’6. However, that is still almost 2 feet less than the NBA legend. They started dating in 2014, and last year, they got engaged. Laticia revealed their happy news on her Instagram account. It is hard to imagine dating someone that much taller and bigger than you, but it is clear that no one would dare bother you with that protector around. Let us know what you think of the difference in height. If you liked this article, share it with your friends who are dating someone much taller than them. See you next time!